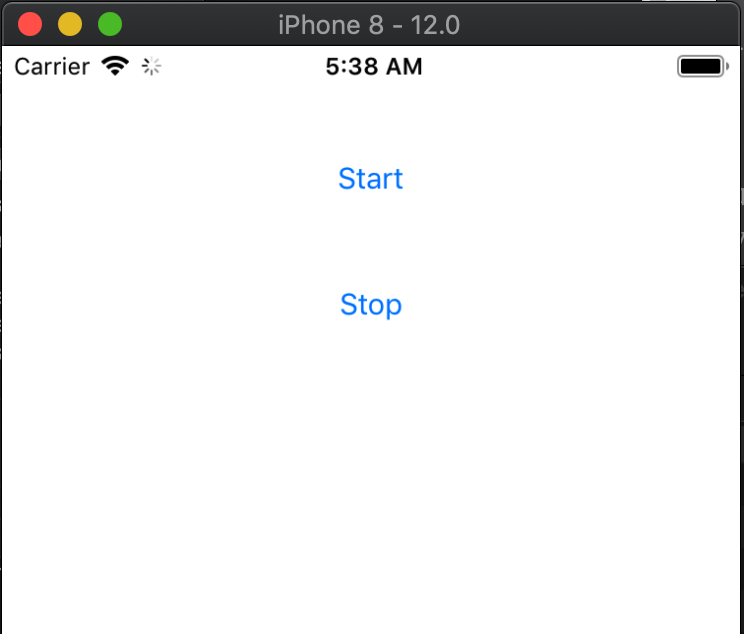 For product name, use iOS12ActivityStatusBarTutorial and then fill out the Organization Name and Organization Identifier with your customary values. Enter Swift as Language and choose Next. Drag two Buttons to the main view, center them horizontally and place them on top of each other. Give them a title of "Start" and "Stop". The Storyboard should look like this. Build and Run the project, The activity indicator can not be displayed on a iPhone X, so choose a iPhone 8 as device for the simulator. Press start and stop to show and hide the Activity Indicator on the status bar. You can download the source code of the iOS12ActivityStatusBarTutorial at the ioscreator repository on Github.